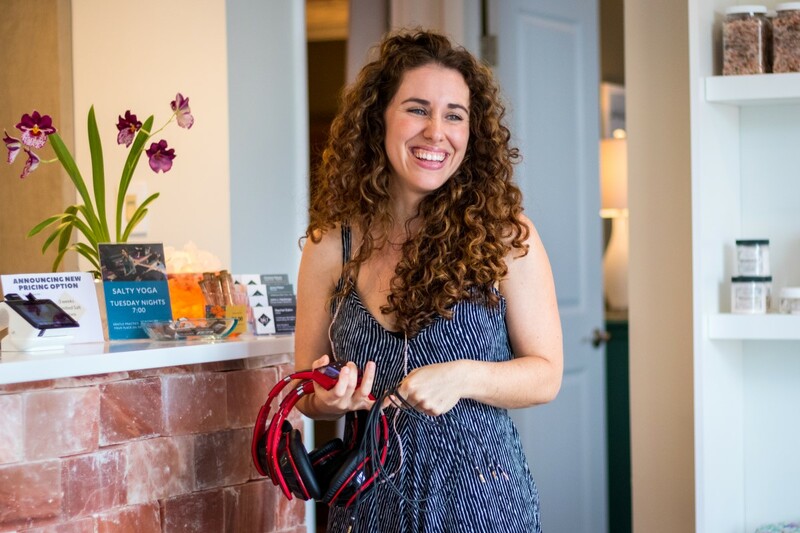 Healthy living has been a part of life for as long as 35-year-old entrepreneur Rachel Eskin can remember. For the past twenty years she has had her finger on the pulse of this lifestyle as a Yogi, a vegetarian, and an advocate for health and wellness. Born and raised in Berks County, and a graduate of Wilson High School, she went on to earn a degree from West Chester University in Marketing. She later took on a position as Director of Sales for a hair care product company which led her on a business trip to Florida. 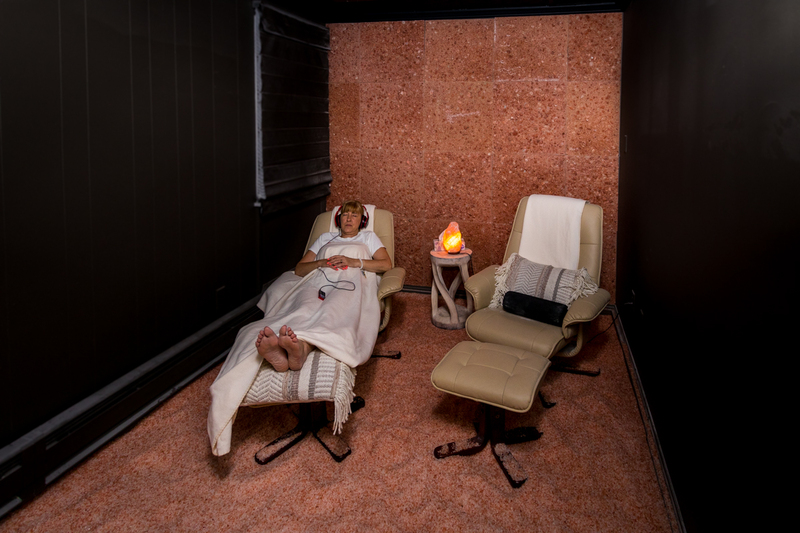 It was here that she first tried a salt room experience to help alleviate the seasonal allergies that she suffered from at the time. To Rachel’s amazement, the therapy was miraculous, and she was completely inspired by the results. She realized upon her return to Berks County that there was nothing like salt therapy available here. Two years later, in March of 2018, she opened The Salt Lounge. As I walked through the front doors of The Salt Room, Rachel’s work to create a relaxing and therapeutic spa atmosphere had an immediate impact. The soft music and tranquil spaces beckon visitors to relax and indulge in a peaceful and healthy experience. Padding through the tour in bare feet, Rachel explains what The Salt Room offers. “Our main treatment is Therapeutic Salt Therapy. The treatment comes from the air, and it essentially serves as a toothbrush for the lungs,” she explains. The spa has two salt rooms, one which can host up to eight guests, one private salt room, and a “quiet lounge”, and a reception area/boutique. The floors of each salt room are covered with several inches of salt imported from the Himalayan Mountains in Pakistan. This salt is hailed around the world for its therapeutic qualities and serves as the basis for the salt room concept. Soothing soft décor and low lighting create the perfect tranquil environment to partake in the many experiences that guests can choose from. Guests relax in the private salt room. 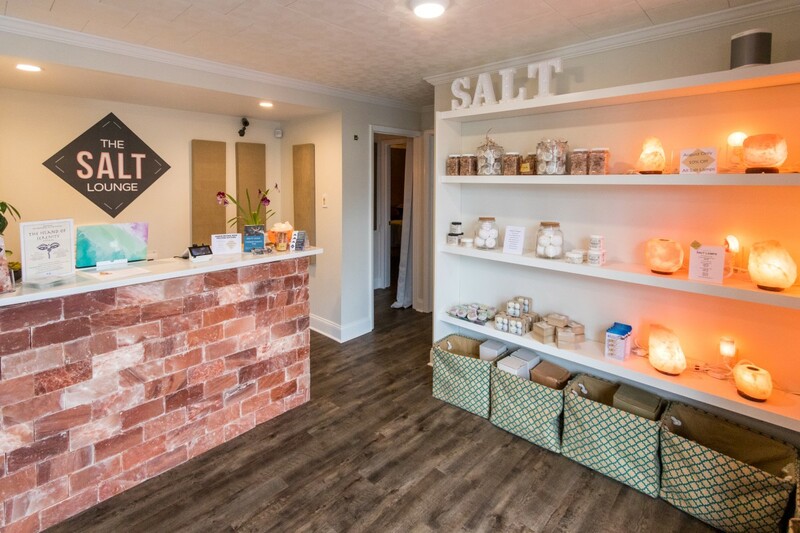 In addition to the traditional salt therapy services, Rachel offers reflexology, reiki, and massage therapy featuring their signature heated salt stone massage. Headphones with relaxing music, and 7-minute guided meditations are also provided to further enhance the experience. There is more for guests to indulge in before and after the therapy of their choice. A beautifully decorated “quiet lounge” is available to clients for relaxing, and simply hanging out, complete with a variety of tea, coffee, and water to sip while they relax, or read. 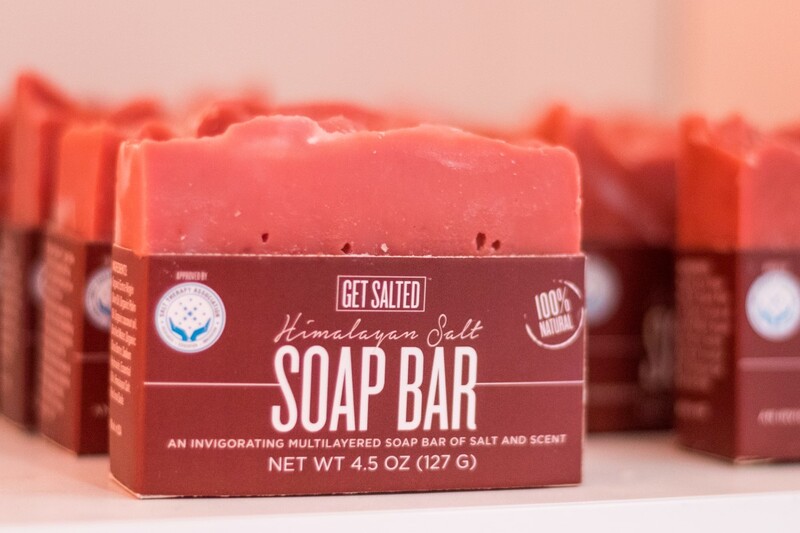 Checking out at the reception area is not complete without perusing the boutique filled with a variety of salt bath products, salt lamps, and lots of meditation chocolates so guests can carry some of their experience along home. You can learn more about The Salt Lounge by visiting www.thesaltlounge.net or info@thesaltlounge.net or by contacting Rachel at rachelatthesaltlounge.net The Salt Lounge is located at 4 Wellington Blvd. Wyomissing, Pa. 19610.